Amman (AFP) - Jordan vowed on Sunday to do all it could to save an airman held by the Islamic State group after the jihadists killed a Japanese journalist they had been holding. Safi Kassasbeh, the father of pilot Maaz al-Kassasbeh, denounced the killing of Kenji Goto and told AFP the Jordanian "government is responsible" for his son's fate. "Maaz is our son and a son of the military, and the government is responsible for him," said Safi Kassasbeh, who in previous days had urged authorities to seek his release "at any price". King Abdullah II said "all efforts in Jordan are being exploited to seek the release of the hero pilot Maaz Kassasbeh," captured by IS after his plane crashed in Syria in December, a royal court statement said. The king, who spoke by telephone with Japanese Prime Minister Shinzo Abe, denounced Goto's murder, branding the killing a "cowardly, criminal act", and offered his condolences to his family. Earlier government spokesman Mohammed al-Momeni pledged that Jordan would "do everything it can to save the life and secure the release" of Kassasbeh. IS has been demanding the release of an Iraqi jihadist on death row in Jordan in exchange for Kassasbeh's life, and Amman said it would hand her over if given proof that he is still alive. "All state organisations have been mobilised to secure the proof of life that we require so that he can be freed and returned to his home," Momeni told the official Petra news agency. He condemned the jihadists' murder of Goto after days of intensive efforts through intermediaries to save him. "The group has rejected all attempts made by the concerned authorities to secure the release of the Japanese hostage," he said. "We spared no effort, in coordination with the Japanese government, to save his life." 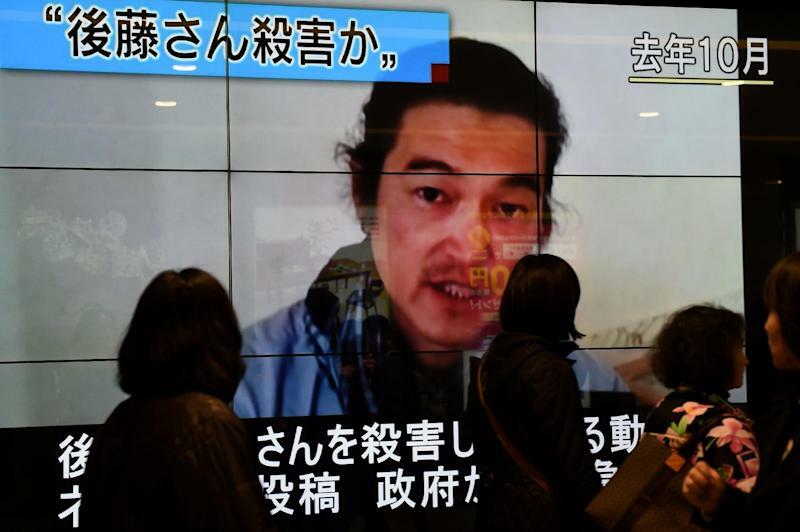 Goto was the second Japanese hostage in a week to be executed by the jihadists in what they have said is punishment for Tokyo's pledge of $200 million (175 million euros) in aid to countries affected by their bloody seizure of swathes of Iraq and Syria last year. Last week, IS claimed responsibility for beheading Haruna Yukawa after the expiry of a 72-hour ultimatum. 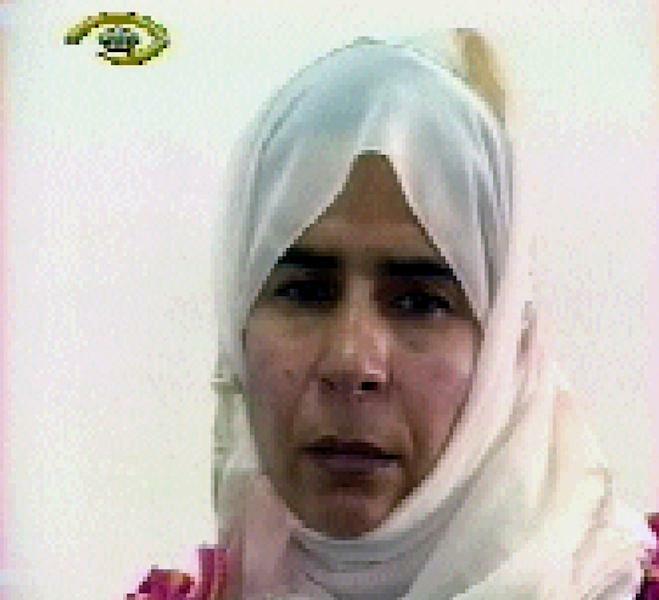 The jihadist IS wants the release of Sajida al-Rishawi, who was sentenced to death for her role in the 2005 bombings of three Amman hotels by Al-Qaeda in Iraq which killed 60 people. Rishawi's husband was one of the three suicide bombers, and the court found that she would have been a fourth had her detonator not failed. 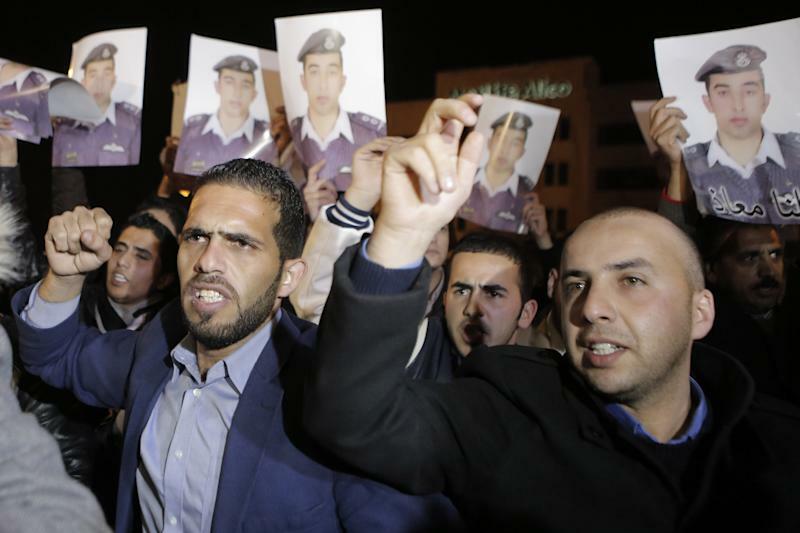 Safi Kassasbeh said his family "feels with (Goto's) family and his country". Jordan is among a number of Arab and Western countries that have joined a US-led air campaign against IS. After First Lieutenant Maaz al-Kassasbeh's F-16 crashed while on a mission against the jihadists over northern Syria, his father had urged IS to consider him a "guest" and cause him no harm. Sunday's royal court statement also quotes the Japanese premier as expressing "gratitude and appreciation" for Amman's efforts to seek Goto's release. Abe is also quoted as saying that he hopes Kassasbeh will return safely to his family and country. King Abdullah, meanwhile, stressed that the international community "must unite its efforts to combat terrorism and extremism". IS has imposed a brutal version of Islamic law in territory it controls in Syria and Iraq, and since August has also executed two US journalists, an American aid worker and two British aid workers.